What are needs and the progress of Green City and the green movement in Indonesia? Regarding Green Services that initiated by ASBINDO, there are a lot of information that should be considered during developing Green City. ASBINDO is trying to give the best information and we would like to share them with you on this page. If you have any opinion or article regarding green services don't hesitate to contact us. Watershed area is an important part in space and city planning. This part should not to be mistaken in planning. The area has been determined to be water infiltration, must be maintained and if it not it can be the disaster during the large intensity and quantity of rainfall into runoff water. Most of big cities in Indonesia has same problem in facing urbanization, it results green open space decrease day by day because of the needs of residence. Physical development that not based on environmental sustainability will have a negative effect in the future such as flood or the quantity of groundwater. Water infiltration can not be separated from green open space. Ideally, every town has 30% green open space from total area of the city that may be lakes (reservoirs), green belt, parks and urban forests. Jakarta currently only has green open space less than 9% of the total area. Vegetation cover watersheds also affect absorption of water catchment areas. More vegetation that covered watersheds and the right type of vegetation, can help the water catchment areas to absorb runoff. Waste and its management is a classic problem in big cities, including Jakarta. 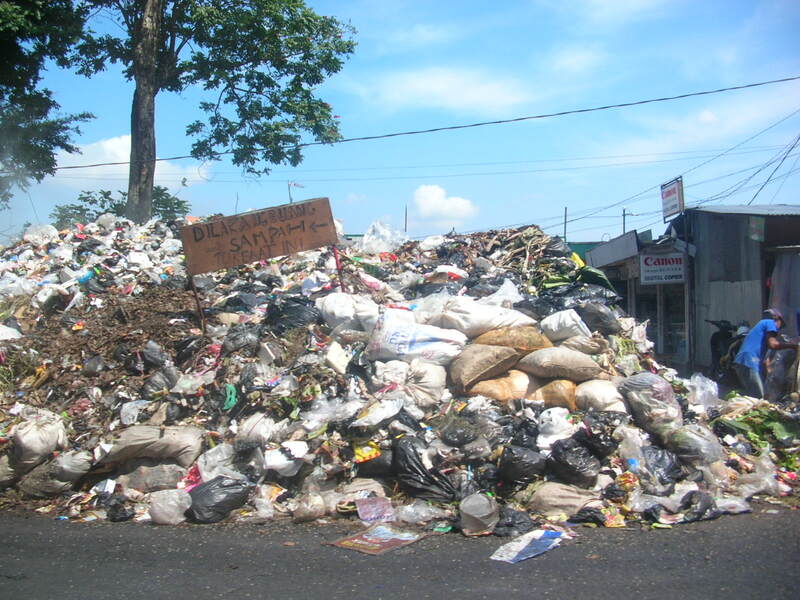 More than 5000 tons of garbage produced in Jakarta. Trash can not be separated from life, many things have been done to facilitate the waste management. 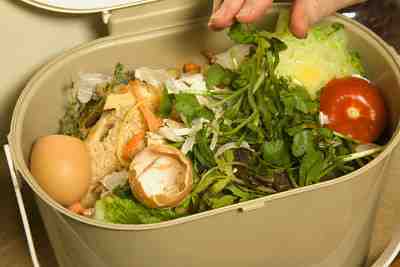 One of it is the separation of organic and anorganic waste. However, in practice this is not much help. There are still many people who do not realize or maybe do not understand differences between organic and inorganic waste, so that where there is a trash bin, even though it have been labelled, people in big cities often don’t realize that. Always carry a cloth bag / reusable bag every day and refuse plastic bags when shopping. Bring a water bottle / tumblr so no need to buy bottled water in plastic if not indispensable. Do not buy items that are not needed. Recycle waste, eg paper, plastic (for crafts), bottles and cans as plant pots, and so on. The easiest way to start things over is to start with yourself, then invite the smallest environment (the family) to familiarize with things like state above to reduce the amount of waste. One of elements in developing green city is the increasing of green building located in one area in ​​the city. The important thing is that the construction of green buildings are set being eco-friendly building, energy efficient, and green materials (plants in it). In designing plants in a room or building, interiorscaper is the one that can give service. Interiorscaper or Interiorlandscaper/plantdesigner/plantscaper is a professional designer with horticultural educational background, which has set up plants work well in a confined space in offices, malls, and homes that use a lot of water condition as a means of cooling the room. Interiorscaper responsible for the arrangement of plants in to avoid "Sick Building Syndrome". Based on research conducted by Dr. Virginia Lohr (Washington state University), ornamental plants increase worker productivity and reduce stress, strengthened also in research published in the "Journal of Environmental Horticulture", that worker productivity increased by 12% when working near the plant compared to the not adjacent to the plant. The Green City Development has become a major concern for the government and the citizen in Indonesia. The focus of the development of green cities by the Ministry of Public Works for the initial phase is the green open space, green planning and design, and green community. To achieve a green city that can give benefits for the residents needed the guidelines, therefore the Ministry of Public Works in cooperation with the Embassy of the Kingdom of the Netherlands and the International Association of Horticultural Producers (AIPH) organized Public Lecture "Growing Greener Cities" with Niek Roozen (Green city Expert from Netherlands).